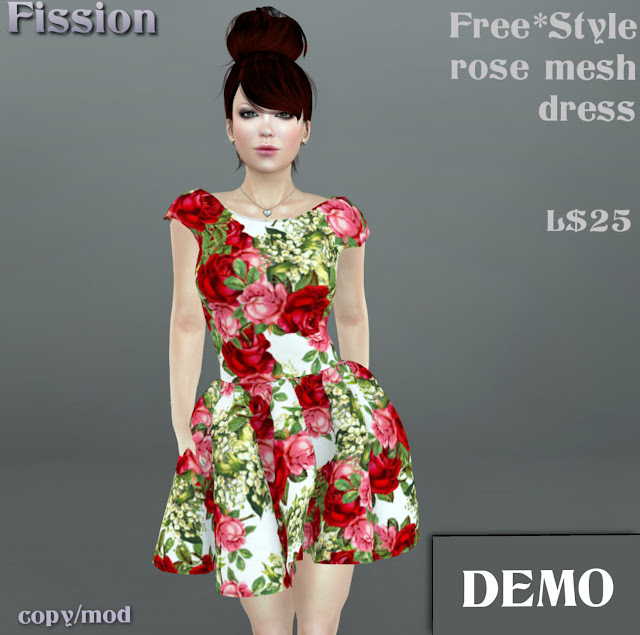 Today's Item of the Day is by Fission. Get ready for spring with this floral dress. It's only L$25, so come smell the roses!